Auto major Tata Motors Thursday reported its biggest ever quarterly net loss of Rs 26,960.8 crore for the third quarter ended December 31, hit by one-time asset impairment in its struggling British arm Jaguar Land Rover. On a standalone basis, the company posted PAT (profit after tax) of Rs 617.62 crore as against Rs 211.59 crore in the same quarter a year ago. Total standalone income rose to Rs 16,477.07 crore as against Rs 16,186.15 crore in the same period previous fiscal. JLR's revenue, however, declined 1 per cent to 6.2 billion pounds. The auto major said its profit was impacted by an exceptional item of asset impairment in JLR of Rs 27,838 crore (3.1 billion pounds). "Given the muted demand scenario and the associated impact on the financials, JLR has concluded that the carrying value of capitalised investments should be adjusted down, resulting in a non-cash 3.1 billion pre-tax exceptional charge and an overall pre-tax loss of 3.4 billion for the quarter," Tata Motors said in a statement. Commenting on the step, JLR Chief Executive Ralf Speth said, "We are announcing a non-cash exceptional charge to reduce the book value of our capitalised investments". The automotive industry is facing significant market, technological, and regulatory headwinds. At the same time, investment in new models, electrification and other technologies remains high, he added. Asked to comment when was last time that the company had such a huge quarterly loss, Tata Motors Group CFO PB Balaji said: "The point is there is one time impairment charge that is being taken so this is not fair to compare this to past". Tata Group Chairman N Chandrasekaran said the company's domestic business continues the strong momentum and has delivered market share gains as well as profitable growth. "The turnaround 2.0 strategy is delivering well with a continuing portfolio of product launches, which are the requisite building blocks for sustainable growth," he added. In JLR, the market conditions continue to be challenging particularly in China, Chandrasekaran said. "The company has taken decisive steps to step up competitiveness, reduce the costs and improve the cash flows while continuing to invest in exciting products and leading edge technologies. With these interventions, we are building Tata Motors group to deliver strong results in the medium term," he added. "The financial results mainly reflect the lower sales in China and higher depreciation and amortisation of investment expense," it said. As part of its plans to achieve 2.5 billion pounds of investment, working capital and profit improvements by March 2020, JLR announced in January that it would reduce its global workforce by 4,500 people. "This is expected to result in a one-time exceptional redundancy cost of around 200 million pounds," it added. 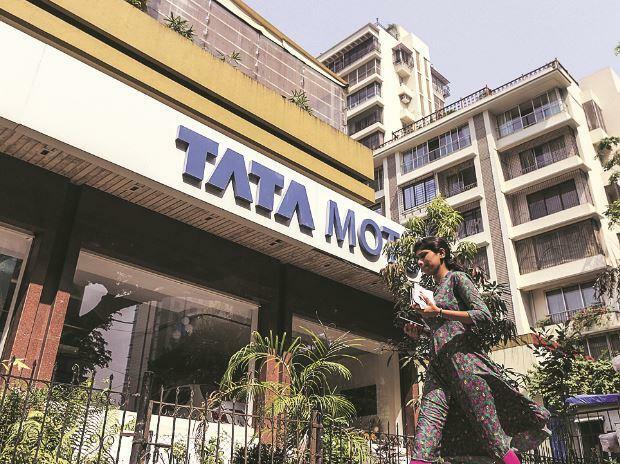 On a standalone basis, Tata Motors said its profit after tax for the quarter was at Rs 618 crore as against Rs 211.59 crore in the year-ago period. Revenue also increased by 1.5 per cent to Rs 16,208 crore, it added. Total sales volume declined 0.5 per cent at 1,71,354 units due to challenging conditions in the domestic market, Tata Motors said. "Fiscal year 2019 so far has been a challenging period for the industry. Despite the muted growth, Tata Motors has delivered strong results, registered an impressive profitable growth this year on the back of exciting products, renewed brand positioning and aggressive cost reduction," Tata Motors CEO and MD Guenter Butschek said. Tata Motors shares Thursday settled 2.64 per cent up at Rs 182.90 on the BSE.